New Commercial Partner Select Agencies SW. Started some 12 years ago to act as a Uk manufacturers agent, specialising in beds, mattresses. upholstery and cabinet, we have grown from just covering the South West and South Wales to national coverage. We can now source almost any type of furniture and related products. We regularly tender with the NHS as an approved supplier, we supply Care Homes, Sheltered Housing and Housing Associations. We also have a unique Stainguard and Sanitised Range and service that is compliant with Biocidal Product Regulations legislation, and the Crib5 / fireguard regulations. We have been working with a leading Mattress manufacturer to develop a ground-breaking mattress for the care industry, please get in touch with one of the contacts below for more information. The reason we were pleased to be commercial partner member of Care and Support West is that we hope, via this process, to engage with front line providers of care and their service users. The benefit we bring to the service provider is being able to supply top quality products direct from the manufacture at seriously reduced prices. The benefit for us lies in the fact we can get first-hand information from providers of care to improve our products and better target the services we offer. Cabot Training were delighted to join Care and Support South West as commercial partners this summer. Having worked with many organisations including Milestones Trust, Brandon Trust, Care Futures, Newkey, Aspects2 and many more, it was a natural choice to demonstrate to all members that we are more than a training company. Cabot has a range of associates with a proven track record to grow your business and maximise the potential of your staff. In this Newsletter we get the opportunity to meet the team. For further information contact enquires@cabottraining.org. Karen has experience of working in all of the above organisations and during this time has delivered both ILM Qualifications to hundreds of Senior Support workers and also a range of tailor made training days for managers. It is her belief to inspire individuals to believe in themselves and simply provide them with the confidence to do their job! Her greatest love is to provide FISH Training! Training that can change mindset and develops a culture of can do into the workplace. Sam was in the Army for over 17 years as an Educational and Training Officer. During her years of service, she was involved in the design, development, delivery and evaluation of numerous leadership and management training courses, as well being an experienced facilitator, specialising in the personal development of others. 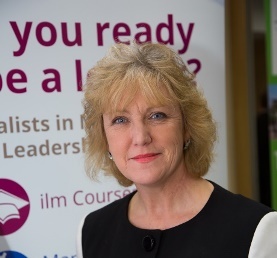 She has taught on numerous ILM courses, as well as general management and leadership, communication and functional skills, values and standards, cultural awareness and equality and diversity. Running a business is highly rewarding but making sure your staff are looked after can take huge amounts of time. While there is no doubt your staff are a huge asset to your business, it’s important to remember that you are, too. 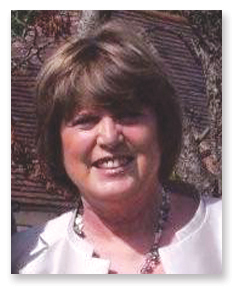 Mary worked in the NHS as a radiographer for over 23 years before becoming an independent Management Lecturer and Management and Training Consultant. She has worked in a variety of public and private organisations, designing and delivering ‘in-house’ and accredited programmes. 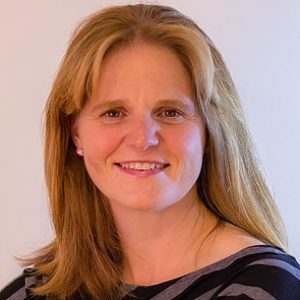 Frances is a Practitioner of Neuro Linguistic Programming, a member of the Institute of Leadership and Management, and a Fellow of the Institute of Training and Occupational Learning. If you own the property that is used in your healthcare business, it may be time to consider whether this structure is ideal from a tax perspective. The diagram below is a common structure of a care business – A and B (often husband and wife, although it doesn’t have to be) own the property or properties from which the business trades, and rent it/them to the trading company, which is also owned by A and B. This structure often arose upon incorporation from a traditional partnership with a view to avoiding a Stamp Duty Land Tax (SDLT) charge. After all, why pay SDLT again, when you paid it on the original purchase of the property or properties? Property Relief (BPR) and therefore not be subject to IHT. 2) Capital gains tax (CGT). Upon sale of the company, and assuming all conditions are met, the shares may be eligible for Entrepreneurs Relief, resulting in a tax liability of 10% on the disposal. If the property is owned privately, the tax liability is likely to be a mix of 10% and 20%. Overall, it is likely to be higher though. 3) Income tax (IT). In many cases operators will need to charge rent to the trading company to cover their personal bank loan repayments in relation to the property, incurring significant personal tax liabilities. This often means that the monies they take out of the company (e.g. dividends or salaries) are taxed at the higher rate or additional rates of personal tax. into the trading company, with no SDLT liability. depending on a number of factors – this area would need to be looked at in detail to get the right solution for you. 3) IHT. It is possible that by transferring the business property into the company the IHT position, upon the owner’s death, may be improved. The maximum saving being, to avoid 100% of the property value falling into the owner’s estate. 4) Income tax. Provided that the associated bank debt is also transferred into the company, there may no longer be any requirement to charge rent, which could improve the personal tax position. As with any tax planning, a transfer of property from private ownership to company ownership will not be suitable for all. It may be that the current banking arrangement is favourable (and you don’t want to give your lender an opportunity to vary the terms! ), or that there is a minority shareholder and by transferring additional value into the company (the property) you would be increasing the value of their shareholding. If you would like to discuss the above please contact Andrew Brookes or Rachael Anstee, we believe that for many with this structure we could suggest a better structure. The consumer’s experience of choosing a care home. Whether the regulation of care homes is adequate. Why conduct a market study? Take action to improve the quality and availability of consumer information and increase consumer awareness. Promote self-regulation in the market. Recommend revisions to regulation and government policy. Make a market investigation reference. Accept undertakings from providers instead of making a market investigation. Crucially, the market study will not look at funding issues or standards of care and will also not look at homecare. Whether care home providers were treating consumers fairly and complying with consumer protection law. Whether care homes were providing sufficient information to make an informed decision as to choice of care home. How local authorities discharge their obligations. The impact of changes in costs and regulation. Whether the market, policy and regulation are effective and sustainable. Citizen’s Advice also made a report in February 2016 highlighting instances of care home providers not complying with consumer law. For example, there had been evidence of increasing fees at short notice and charging undisclosed additional costs. Concerns have also been raised by Age Concern and other charities in the past in relation to complaints procedures, for example, care home staff imposing restrictions on residents who complain. What is a market investigation? A market investigation (as opposed to a market study) is an in depth investigation into a market to consider if there is an adverse effect on competition. Such an investigation would be conducted by a team from the CMA’s panel of members including experts in different areas such as economics, business, law and the public sector. The investigation is conducted independently from the CMA board and none of the team involved will have taken part in the decision to refer the market for investigation. The market investigation should be finalised within 18 months of its reference (although this period can be increased by a further 6 months). If the investigation finds that there is an adverse effect on competition, the CMA has extensive powers to impose its own remedies and make recommendations to regulators and the government. Appeals against any decision related to a market investigation would then be made to the Competition Appeal Tribunal. What does the CMA define as ‘adverse effects on competition’? It is difficult to define ‘adverse effects on competition’ because these vary from market to market. The OFT (predecessor to the CMA) found in its 2012 market investigation into private healthcare a number of features that, individually or in combination, prevented, restricted or distorted competition in the UK private healthcare market. These features included a lack of easily comparable information, high levels of concentration at national and local level which may give a degree of market power to healthcare providers and significant barriers to entry and expansion. Next steps – what can you do? Care providers, consumers and other interested parties are invited to submit views and evidence on whether the CMA should make a market investigation reference by 16 January 2017. Announce whether it intends to make a market investigation reference by June 2017 and begin consultation. Publish its final report on the market study in December 2017 setting out the reasons for its decision. Care providers should have their service user terms and conditions and residents contracts reviewed to ensure they comply with current consumer law, especially if they have not been reviewed since October 2015 when the Consumer Rights Act 2015 came into force. Please contact us directly for a free review of your Service User Contracts to ensure you are compliant. Nominations open for Towergate Care Awards 2017! Nominations are now open for the Towergate Care Awards 2017. As a specialist insurance broker, Towergate Insurance provides cover for various areas of the care industry and wants to celebrate individuals who have demonstrated outstanding excellence in care. The awards will recognise and pay tribute to those who go above and beyond to deliver the best quality care every day, providing a moment in the spotlight for people in this profession. David Ross, Chief Executive of Towergate, commented: “We created an awards ceremony which recognises the vital role carers play in our community. We work with many care organisations and witness the high quality of care they provide on a daily basis. The ceremony will be hosted by presenter and actress, Denise Van Outen who is well known for her stage roles in Chicago, Tell Me on a Sunday, Legally Blond and Rent. Denise is also a familiar face on our television screens sitting on the panel for BBC1’s Any Dream Will Do. Speaking about the awards, Denise Van Outen said “I am extremely honoured to be a spokesperson for the Towergate Care Awards 2017 and look forward to presenting the awards in March. Carers carry out inspirational, selfless work every single day in an effort to make other individuals’ lives more comfortable. There are nine award categories, reflecting the diversity of caring in all its many forms, and the winners will be revealed at a lunchtime event held at The Dorchester Hotel in London on Thursday 23rd March 2017. Towergate is urging people to give recognition to those who work tirelessly to make other peoples’ lives brighter, and we would urge our members to submit entries for those who regularly go over and above, particularly for the Outstanding Contribution to Home Care category. There are eight other categories open for nominations, which are as follows: fostering contribution of the year; care home worker of the year; nursery school worker of the year; volunteer of the year; practice manager of the year; therapist of the year; outstanding contribution to the education sector; and Part Time Working Mummy award – people’s choice for unsung hero. There will also be a final award revealed on the day ‘The Towergate Care Awards Winner – 2017’ and the winner of this award will be selected from one of the finalists. This year will see the addition of a new category ‘People’s Choice for Unsung Hero’ - sponsored by ‘The Part-Time Working Mummy’ blog. Rachaele Hambleton, author of the blog, was catapulted into the media spotlight when she wrote a very honest account of helping a first time mum having a ‘what have I done?’ moment. This post went viral and, since then, Rachaele has attracted a following of over 250,000 men and women, all helping each other through life’s trials and tribulations. This award has been introduced in honour of those men and women – those who go out of their way to help others through difficult times. Deadline for entries is Tuesday 21st February 2017. I’m delighted to announce that today we are launching the Towergate Care Awards 2017! We would also love for you to attend the event on 23rd March 2017 – please put in in your diary! BANNING RELATIVES FROM CARE HOMES: JUST POOR PRACTICE? The media have recently been highlighting cases were the relatives of residents are banned from the care home. Whilst there are no doubt some cases of poor practice, the media coverage does not address the full story. The Victoria Derbyshire BBC programme in November prompted new guidelines. Why would relatives or other visitors need to have their visiting restricted or supervised, or even in extreme cases for visiting to be prohibited. Quite often, this is because the visitors are abusing staff or by their actions putting at risk their relative or other residents at the home. They could be inappropriately seeking to involve themselves in personal care, or trying to supply or administer unknown medication,they could just be generally acting in a way that is frustrating the proper management of the care home. Christie & Co offer regular reports on the care sector property market. Essential reading for property owners. 2016 Spring: Download the 2016 Q1 review here. We work hard to make your business as profitable as possible by eliminating waste on essential spend. 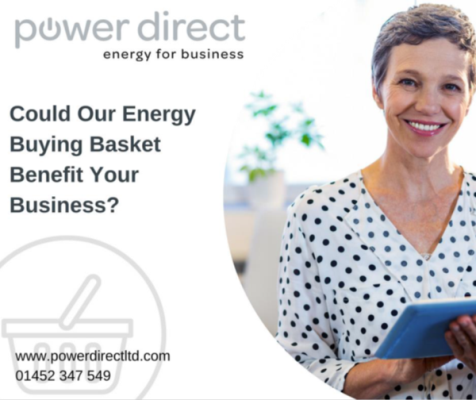 Our team, together with an exclusive range of suppliers, means we can reduce your costs and free up precious extra time for you and your team to get on with running your business. Our wealth of experience in dealing with care providers means we understand the pressures and challenges you face. This month we saved two Somerset based care homes an average of 20% on their food costs, 14% on all their cleaning supplies, gloves and aprons and 17% on their waste management costs. We are pleased to attach a summary of the series of roundtable events we held late last year, providing a national picture and with individual operator comments. I co- hosted the Bristol lunch with Paul Birley and feedback from those who attended was excellent.